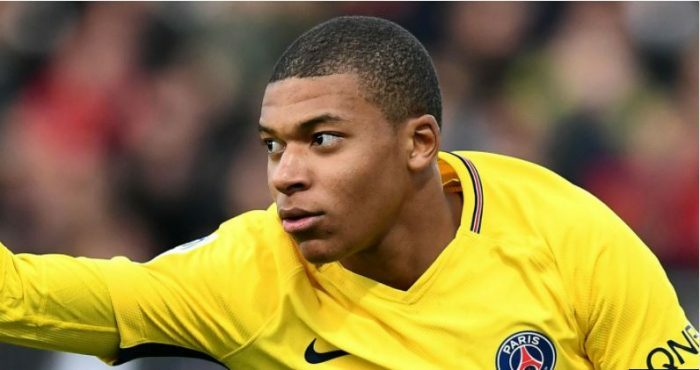 Paris Saint-Germain youngster, Kylian Mbappe has set a new Champions League record. The Frenchman scored against Bayern Munich on Tuesday to make it his 10th goal in the Champions League. He has become the youngest player ever to make that mark at the age of 18 years and 11 months. Mbappe is nearly two years younger than Karim Benzema, the previous holder of the mark. Benzema pulled off the feat at 20 years and ten months. Also, Barcelona superstar Lionel Messi and Real Madrid legend Raul both did it when they were aged 21. Meanwhile, Wayne Rooney, who is the no.6 on the all-time list, did it two weeks after his 22nd birthday while playing for Manchester United. Mbappe netted six times last season while playing for 2016-17 Champions League semi-finalists Monaco and has proceeded to add four to his total this season after his move to PSG. Mbappe reached the figure in just 15 games and had previously become the highest-scoring teenager in October when he struck against Anderlecht to surpass Patrick Kluivert’s landmark. Do You Know That Volkswagen Car Maker Are Also The Makers Of Lamborghini, Bentley, Bugatti, Porsche?